We know our words and actions can hurt and/or damage individuals. As Christians, it seems this concept has been taught to us from day one. There is no misunderstanding this idea. It is spelled out clearly. We have heard, “Actions speak louder than words” countless times. So we pay attention to how we conduct ourselves. We know one word can tear down. We learn to be more mindful of our speech. Yep, we got this part down as Christians, well hopefully. 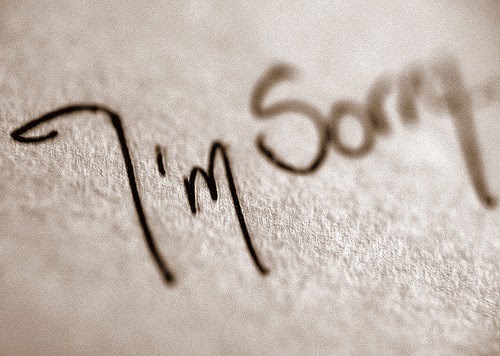 However, what happens when someone hurts us and says a heartfelt apology? That is right, there is another side to this thing. Think about how you would want someone to respond to you if you made a mistake and had to apologize. Would you want them to dismiss your genuine admission of guilt? We are not just called to watch our words and actions. We must forgive. Forgiveness is a hard pill to swallow sometimes. It does not mean we automatically forget what was done to us. However, forgiveness is not supposed to hinge on that. The damage was done. Jesus had the ultimate betrayal. With one of his last breaths, Jesus said, “Father, forgive them, for they don’t know what they are doing.” ~ Luke 23:34 (NLT). That my friends, is forgiveness from the heart. When we forgive from the heart, it makes working past the memories easier. The bitter feelings disappear and healing can begin. My challenge… what are you holding on to that needs forgiven? Is there a person you have bitter feelings toward who hurt you but said they were sorry? It is your responsibility to finish the steps when asked to forgive. Take time to examine and if needed, make it right! You will finally feel the freedom you need!